Mundo Exchange is strongly supported by volunteers who make up a majority of our on-the-ground team and create the pulse of our organization. 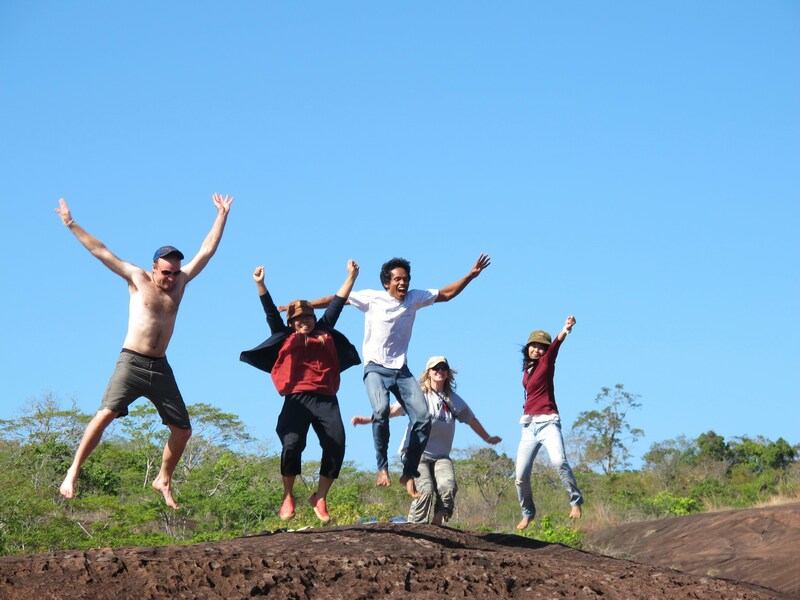 We have affordable, international volunteering opportunities available year round! When you volunteer abroad with Mundo Exchange and Laekplian Lokgatat’s community development projects it will open your heart to the local people and give you a deep understanding of their rich culture, their everyday challenges and their hopes and dreams for the future. These are children, families, and elders who face extreme poverty and indifference on a daily basis AND they are some of the most resilient and compassionate people you may ever meet. Whether you are on a gap year, taking a break, or a retiree you can make a difference in the lives of those you interact with by volunteering with us! Are you interested in changing the world? Broadening your worldview? Learning about Buddhism? Finding peace on mountaintop pagodas? Immersing yourself in nature? Would you like to experience the joy of a child’s laughter by teaching English through fun activities? Engage in rural village life? Learn about organic gardening with a local? As a volunteer, you can change the course of people’s lives – through teaching English, lending a helping hand, sharing a smile and words of encouragement, putting in a new cement floor or more – there are countless ways that you can help someone better their lives. I had taken a risk by flying to a province my Thai friends had barely heard of, and putting my trust in an organization I had only emailed. Mundo Exchange turned out to be more than I could have hoped. They were a constant source of tangible and emotional support. Every day spent in the classroom was a joy, but I especially loved being able to bring my guitar and teach the kids a short song. I know my own comfort level was broadened and these experiences were the kind I hoped to have while planning my trip but couldn’t possibly imagine until I actually did them. I can’t recommend Mundo enough! It has been life changing for me. I have learned so much about the world, Thailand, it’s people and it’s culture. I have gained a second family. See what other volunteers have to say!